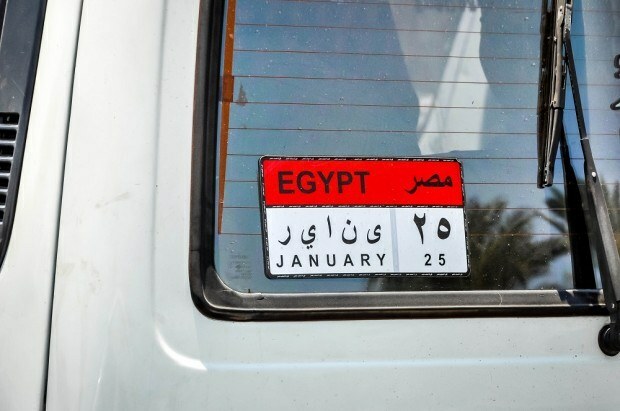 It has been three years since the Arab Spring came to Egypt on January 25, 2011. Laura and I watched the events of those days unfold with rapt attention. Only one month earlier we had booked a trip to Egypt for the following June so we were anxious to see all the details of the protests and political developments as we wondered whether our trip would be possible at all. As it turned out, the unrest subsided briefly and we were able to keep our plans. In Egypt, we were keenly aware of being witnesses to history since we were there so soon after the Revolution. Four and a half months following the start of the Revolution, so much had already changed, but it was clear there would be years of change ahead. 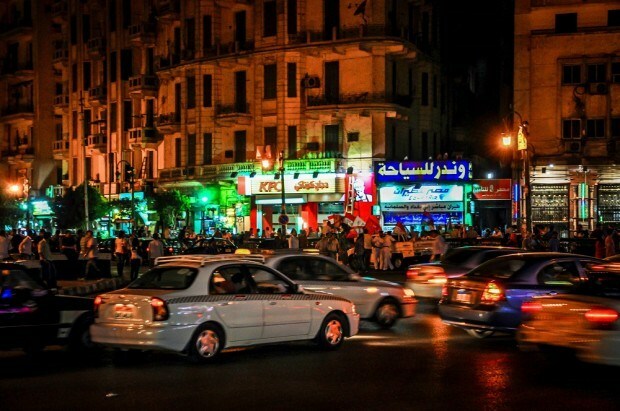 Our very first stop on the night we arrived was Tahrir Square. We hadn’t really known what to expect but were intrigued that the square we had seen on TV teeming with protesters was now filled with cars and dotted with merchants selling t-shirts that commemorated the events that happened there. In the tunnels below the square, there was a makeshift combination art gallery/memorial in honor of those who were killed. The one thing that struck us was how young many of the victims were. 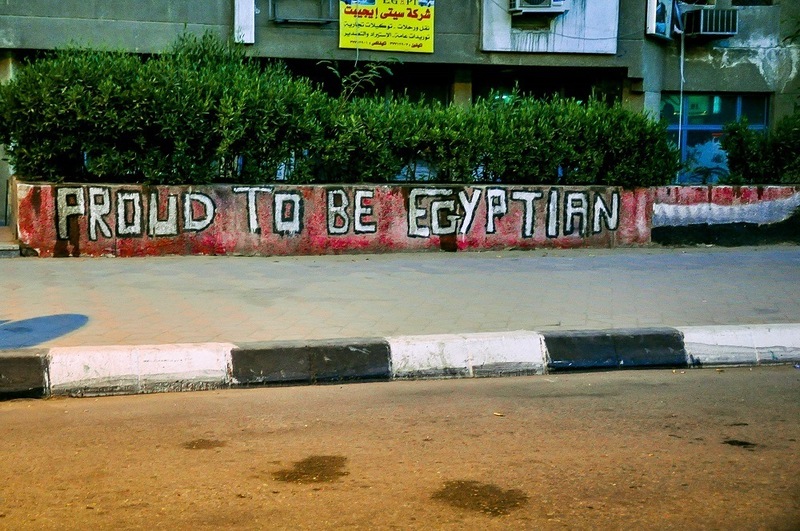 That night, a few dozen people were gathered in Tahrir Square and were chanting and waving flags. The square was much smaller than we’d anticipated and we could barely imagine how they would fit hundreds of thousands of people into such a small space. On our second day in Egypt, we headed with an armed guard (the policy of our tour company) to the nearly-empty pyramids. Meanwhile, announcements came that Mubarak was in very poor health, practically near death. It was generally viewed as a PR move to generate some sympathy. Instead, it only incensed many citizens who wanted him to answer for his crimes in court. That evening, I stopped by a corner store to buy water. Several men crowded into the dusty store and were watching a small TV with poor picture quality. They were talking in angry tones and pointing to the image of Mubarak on the screen. They greeted me kindly, but it was obvious bigger issues weighed on their minds than the American out for a late night walk. Each subsequent day brought more news and rumors. Our guide with Intrepid Travel helped us translate and appreciate the current events. Since she had been one of the protesters in Tahrir Square, she added additional layers to our understanding of everything going on around us. So, by the time the U.S. special envoys (John McCain and John Kerry) finally arrived, we felt steeped in the changes the country was facing. After a couple of months of relative peace, protests and violence re-emerged in Cairo. Though we were in Luxor by then, we were heading back to Cairo. In the early morning of the day we were returning to Cairo, Tahrir Square had been re-occupied by protesters. We were told to stay far away from the square and be alert of our surroundings even though the square was 2km away. It didn’t stop us from going out for a final dinner, though, and we didn’t encounter any difficulties. Although there was tension, our timing could not have been better. The next day, we left Cairo to do some scuba diving in Sharm el-Sheik before things started to get really hot again. 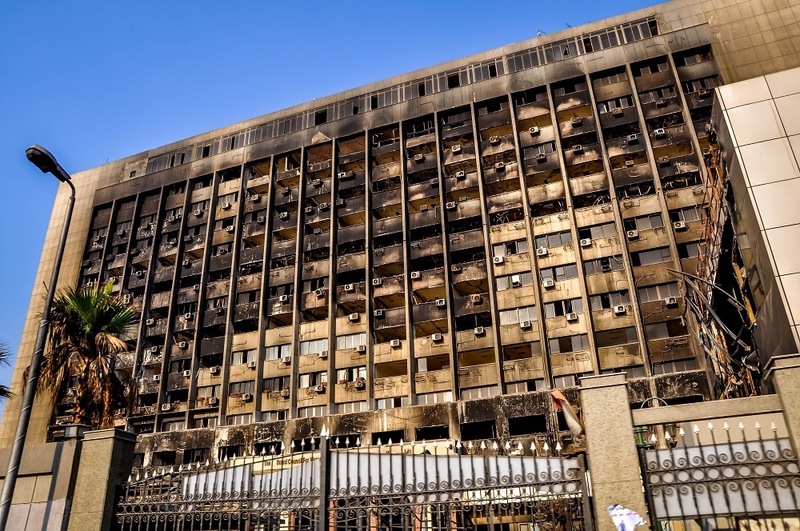 The first week in July brought “The Second Egyptian Revolution of Rage” with massive protests and more violence. And things turned very violent the day after we left Egypt when there was a pair of coordinated terrorist bombings. 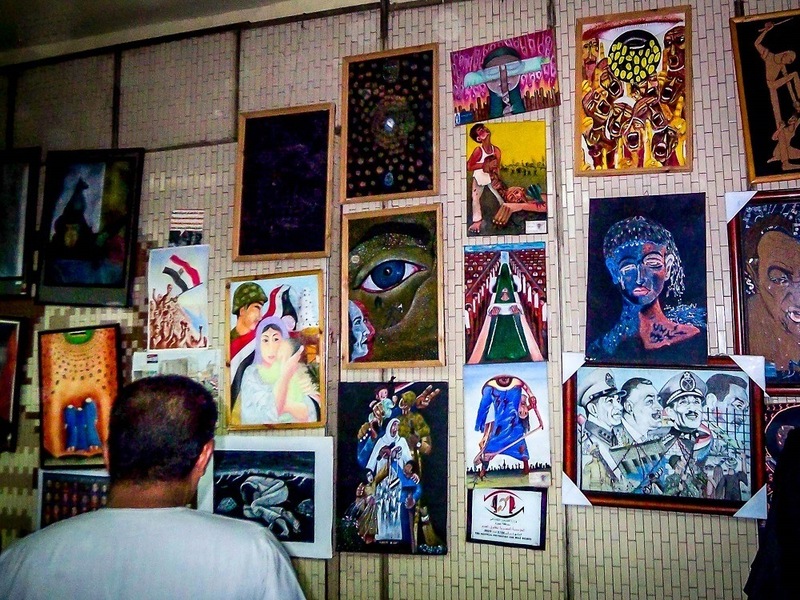 On the third anniversary of the Egypt Revolution, we can’t help but think about our experiences. 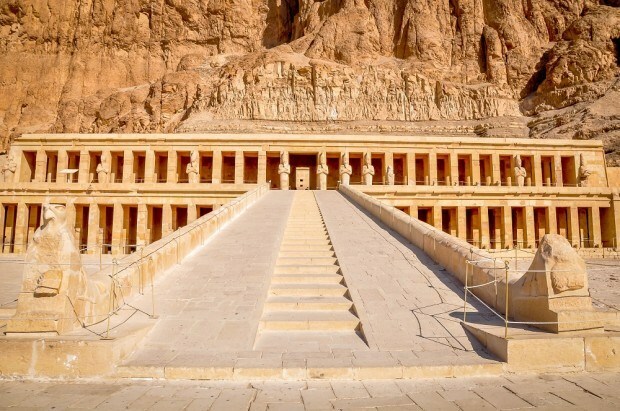 While we were in Egypt, we had the benefit of visiting some of the world’s most important historical sites, including Abu Simbel, Queen Hatshepsut’s Temple in Luxor, and the Temples of Karnak and Luxor. And much of the time, we were completely alone – not another visitor in sight. Nobody knows what the future holds for Egypt. Last weekend, there was a referendum on the revised Constitution. The government is still controlled by the military. People still turn out to protest and vote in droves. But there is still little stability, and tourism is scarce. After visiting the country at such a formative time, we feel deeply invested in the outcome. And as the third anniversary of the Revolution draws near, our thoughts turn back to the country along the Nile. What do you think about Reflecting on our Trip to Post-Revolutionary Egypt? Thoughtful post! So I really want to go, but travel insurance is tricky. I can get coverage for certain areas in Egypt but not others. For instance, I was told I wouldn’t be covered in Cairo, which I’d have to fly into so if, god forbid, something happened to me in Cairo (even something unrelated to the political unrest), I’d be screwed. How did you and Laura deal with insurance? We went with Intrepid, so we were required to have a certain category of insurance. And, given the timing, we wanted it too. We used Travel Insured International and didn’t have any issues. Ditto what Laura said. 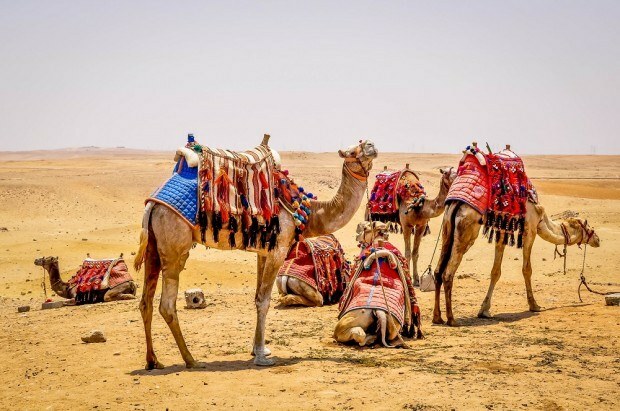 For other trips, we’ve used Allianz Global Assistance and haven’t had a problem with that either.